Clutter affects you in more ways than you might know. 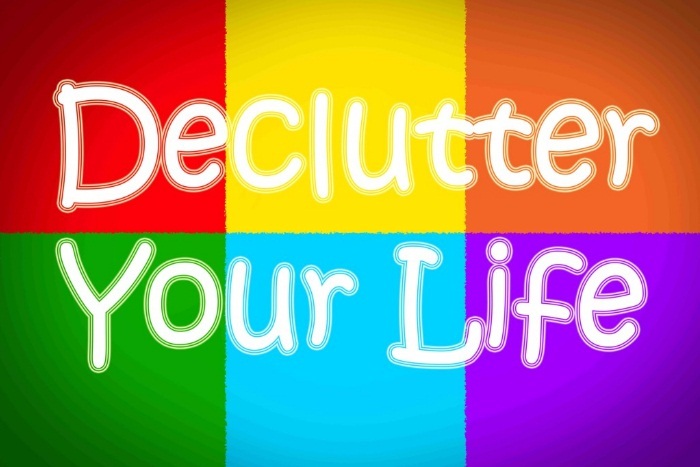 You need to get rid of your stuff and declutter your life. You will love the freedom and higher quality of life when useless stuff goes out the window. Here are some great pointers on how to do that. There’s no point in decluttering if you just go on and keep replacing old stuff with new. You need to keep a check on the new items entering your life. So reconsider your shopping habits. Don’t worry, it may be a little difficult at first but soon you’ll start to appreciate the difference this will make. One of the biggest turn-offs of decluttering is thinking of all the work you will have to do. The interesting thing is that you can do it in a much simpler way. Just get rid of one or two items a day. You don’t have to get mad trying to have a big garage sale or turning your house upside down to expel unwanted items. Slow and steady, this is a great way to declutter your life. Just like you don’t have to do it all in one day, you also don’t have to tackle the most difficult items in the start. Focus on the easy stuff first. Instead of getting bogged down with difficult decisions in the beginning, warm up and build momentum by getting rid of items that simply have to go. Before you jump in the process, plan first. Nothing too complicated, but just an easy and effective disposal plan. Like with any project/task, the better your preparation, the easier the job. Consider online resources like eBay as well as local thrift stores. Do this if you really want to get rid of your stuff and declutter your life. Don’t give in to guilt. Only those things deserve a place in your home (or workplace) that you really use or really love. You should realize that you don’t have any obligation to keep stuff in your life for any other reason besides the two I mentioned. Yes, you’ll have to be strong if you want to declutter. Letting go can be difficult. Of course there’s no issue with keeping some items for genuine sentimental reasons. But just make sure you aren’t being too attached to an item (or a hundred!) without good reason. I don’t want you to end up losing truly important items. Just don’t be too lenient otherwise you won’t be able to clear a lot of useless items. It’s quite easy to get caught up in the fun of equipping your home with the ‘latest everything’. The result – a cluttered home. Be realistic. You probably don’t need a lot of cutlery or every appliance you think looks good in advertisements. Remember, every item you have costs not just money, but time. You need time to clean, repair, and maintain stuff. So don’t waste your life on clutter. Use these simple tips and enjoy the freedom!